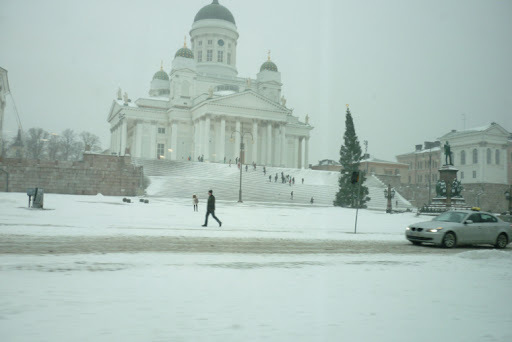 In the center of Rautatientori (centre in Helsinki), there is an ice-skating rink. Many tourists go there. Hey! Last year nearly everytime we went there we met someone from Australia, or close to there anywhere. I woldn't be surprised if people just went to the coffee shop next to the rink, especially Finns, and watched all the new comers TRY to skate. It is quite entertaining... Not that I have ever done that (eye movement). It is, though, a great place to go. I frequently go ice-skating there. And it is a great place for entertainent. 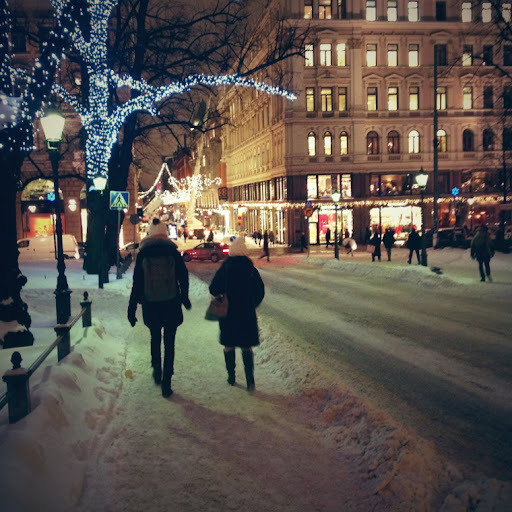 There is lights everywhere in the center of the city, and it all looks so beautiful!